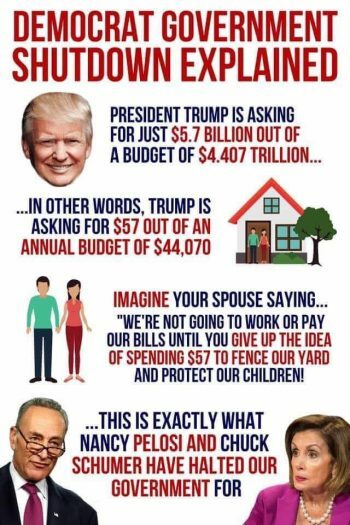 I am tired of the focus on the wall and shutdown. Unless someone can provide a synopses of these videos, or transcripts; I cannot respond as running video takes loads of data usage. I have 4G a month total.
" I have 4G a month total." Washington, D.C. – Billionaire globalist financier George Soros’ MoveOn.org has been revealed to be a driving force behind the organizing of nationwide protests against the election of Donald Trump — exposing the protests to largely be an organized, top-down operation — and not an organic movement of concerned Americans taking to the streets as reported by the mainstream media. Wednesday saw protests in the streets of at least 10 major U.S. cities. Chicago, New York, Los Angeles, Philadelphia, Boston, Washington, D.C., Portland, Ore., St. Paul, Minn., Seattle, and several other cities saw protests, according to USA Today. In light of the protests and rioting that have transpired since the election of Trump, a closer analysis of the dynamic at play is warranted to gauge whether it’s an organic grassroots movement, or something much more organized, sophisticated and potentially dangerous. It seems nothing but a distraction from what matters most in our nation; getting the subpoenas issued and shining light on the Pumpkinfuhrers treasonous crimes and driving him from office. The new migrant caravan from Central America has crossed Mexico’s southern border, marking a milestone in its mission to reach the United States. On Thursday, Mexican authorities said nearly 1000 migrants crossed into Ciudad Hidalgo, where they began the process to obtain humanitarian visas. President Trump responded to the reports of the new wave of migrants this week, saying its proof that Congress needs to fund the border wall as soon as possible. However, migrants in the caravan fired back at the president Thursday by saying they deserve to be let in. Kevy! We are tired also! This splains what Democrats/liberals just don't understand. Trump is not like Hitler, Hitler was his own man Trump is beholden to Putin. LMAO, you're a real knee slapper. Sit around a pot bellied stove and see who can give the best BS story, then laugh. Yep you are a knee slapper. Hmmm, isn't there a "Q" in there someplace? Lepor cites a former GOP lawmaker in his piece, who stated that the “unobligated balances” would give Trump the ability to very easily build the entire wall along the southern border between the United States and Mexico. The President needs to do "whatever" is within his power to move us back in the Right direction, immediately if not sooner. We can greatly appreciate his efforts on many of the problems so far, but it's past time to get tough. The era of patience is over! We as a sovereign Republic have nothing to lose and all to gain. Pull the funds from wherever, NOW!! Sometimes I cut the text short, as many do not want to read the details. I forget that you and others are redistricted in your capacity to open or download.